Dry mouth is the uncomfortable feeling you get when your salivary glands aren’t producing enough saliva. This can leave the patient with a number of symptoms, including a dry mouth and throat, cracked lips, and difficulty swallowing, among other things. Dry mouth occurs for a number of reasons. In most cases, dry mouth is the result of stress or some other emotional taxing event, such as stage fright. However, if your dry mouth lingers and does not go away on its own, it could indicate a more serious health issue. Other reasons you make experience dry mouth include. Chemotherapy: Cancer patients may experience thicker saliva which can feel the same as dry mouth. Menopause: Hormones play an important role in the body. If your hormone levels are changing or unstable this could result in a dry feeling in the mouth. Radiation: Your salivary glands can sustain damage if your neck or head are exposed during radiation therapy. In some cases, the condition may be temporary, but it can also lead to permanent dry mouth. 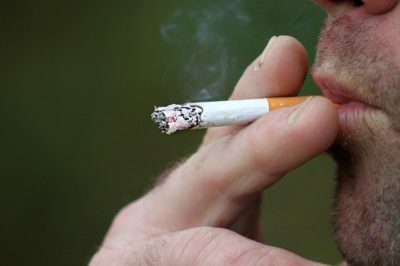 Smoking: Regular, heavy smokers may experience dry mouth. While you work on treating the cause of your dry mouth, it’s important to take care of your teeth and gums. A lack of saliva can increase your risk of tooth decay and infection. Make sure you brush your teeth twice a day and floss regularly. Your dentist may also recommend certain mouth washes that help keep your mouth moisturized.